President of Go Round FC, Felix Obuah has said he is happy the club remained in the Nigeria National League, NNL, after their inability to gain promotion. 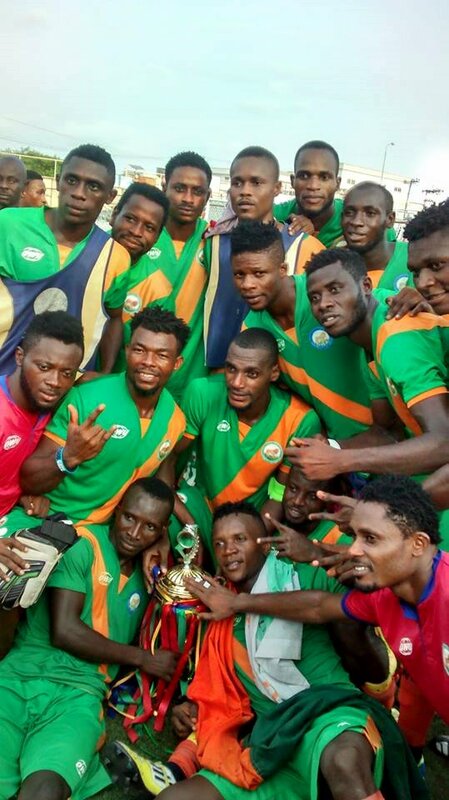 Go Round FC chased promotion to the Nigeria Professional Football League, NPFL until two consecutive losses in the 2nd round of the league, away to Unicem Rovers and then home to Remo Stars. Obuah said on Sunday that he wanted the club to qualify to play in the top tier NPFL but failure to achieve that does not change the fact that they had a good season. "At the start of the year, our target as usual was to qualify for the NPFL and we really put our hearts out to achieve that.
" But you know that in football, it’s not every time you get what you want but we can't complain because we also had a record breaking year," Obuah said. He spoke of winning the Rivers State FA Cup, the first for any club outside Sharks or Dolphins in more than twenty years. "When we started the Rivers State FA Cup race, we didn't know we will win it but eventually we did and even got to the Round of 32 before we were knocked out controversially by Nasarawa united. "In an abridged league, if you are not careful you could go from chasing promotion to getting relegated and we survived it in spite of the shenanigans in the division. 'I just want to say its a bit disappointing that we will not play in the NPFL next season but we know it was not an entirely bad season. *We are Go Round FC and we know what we stand for. I will continue to support the team and I'm hopeful that this promotion that has eluded us for the past three years will come to pass next season,' Obuah said. Meanwhile, General Manager of the club, Soni Uboh apologised to the club president for not being able to lead the team to the NPFL. Uboh told obuah that the club would get it better next season since they had learned from their mistakes. “We made a promise and actually believed we would make it to the NPFL but it didn't come to pass in spite of the support from the club president. "It’s a good thing that he has a passion for this game and has not withdrawn his hand from the club so we believe that what we failed to do this year can be possible next year," Uboh said. "We have already set a machinery in motion against next season and we believe that starting as early as now means we will have a head start against other teams." A double match bonus was paid to the team for winning the all important game against COD United on Saturday 1-0 to ensure the Omoku based side keep their NNL status.